Woolfe: The Red Hood Diaries hasn't officially left its Early Access state but it should soon as the game is planned for release this week. Before we can really tell you what the final game is worth, here is a short video of the game as it is today, with its strengths (Burton/American McGee-like art style, narration and atmosphere) and its weaknesses (fixed camera angles, stiff animations and awkward controls). The game doesn't seem very long either, but depending on its price and the final updates it gets, it could be worth your while if you've been craving for a dark version of the famous tale. Stay tuned. Following the Kickstarter campaign last summer, GRiN Studios is pleased to announce the Steam Early Access today for Woolfe: The Red Hood Diaries, supported by a new trailer featuring in-game footage. The game is scheduled for release on March 17. 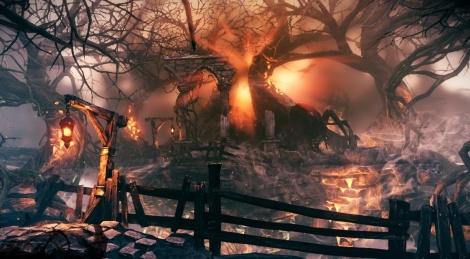 We've already told you about Woolfe: The Red Hood Diaries from Belgian studio GriN. 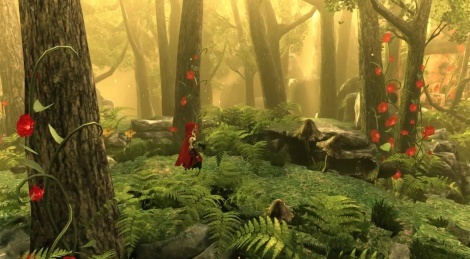 This new platformer revisiting the tale of Little Red Riding Hood is obviously very reminicent of American McGee's work on Alice in Wonderland, but its 2.5D approach and its good artstyle make us want to see more. The three levels which are available in the demo are too short to fully express the game's potential, but the small glimpse we have of the atmosphere and gameplay mechanics is more than enough to get our attention until the game is released in 2015. Note : Capturing the game with Mirilis Action! turned out surprisingly difficult, so we had to lower the resolution at 720p to keep a steady frame rate at 60 fps. The third video was however captured at 1080p but we capped the frame rate at 30 fps for better results performance-wise. 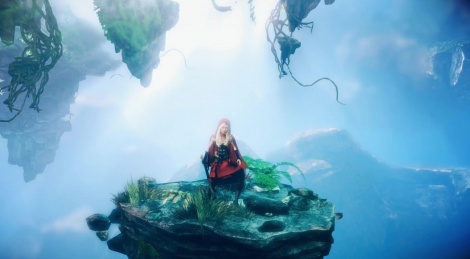 GriN today released a new trailer and screenshots for Woolfe: The Red Hood Diaries, its cinematic platform game full of drama and dark twists. Here is the link to the Kickstarter page, the game coming to PC during Q1 2015, and Xbox One and PlayStation 4 Q2 2015. 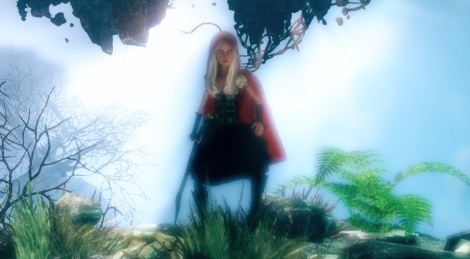 Much like American McGee, Belgium developer GriN decided to revisit one of our childhood's fairy tales with Woolfe: The Red Hood Diaries, a platformer which will be avialable in 2015 on PC and next gen consoles. The art style looks good but it's surprising to see the trailer has been encoded at 25 fps, which doesn't really do the game's overall presentation justice.